Having great hair is much more than just having great hair genes (but that definitely helps!). Perfect hair comes from having consistent, healthy maintenance habits. Get into a healthy hair routine with these six tips. Slow down on the shampoo. Overly shampooing can strip the scalp of its natural oils, and dry hair out. Extend your washes by turning to dry shampoo. Verb’s Dry Shampoo refreshes hair and removes excess oil without damaging hair. In addition, never skip conditioner, and twice a week, only use conditioner in place of shampoo. The best way to prevent or combat frizz is to keep hair as hydrated as possible. Try Verb’s Hydrating Conditioner to repair damaged hair, while also leaving it shiny and luscious. Use a hydrating mask, weekly! It is important to give your hair a special treatment once a week. Using a hair mask will restore and soften your hair. After leaving Verb’s Hydrating Mask in damp hair for five minutes and rinsing it out, your hair will feel instantly softer and more hydrated. Turn down the heat. Waiting for your hair to air dry isn’t always the most convenient styling option, but it is the best way to protect hair from being damaged. If you must use heat styling tools, turn down the heat setting a notch, and be sure to use a heat protectant. Verb’s Styling Cream protects from heat, while also leaving you hair with a subtle hold and satin finish. Help distribute natural oils. Simply brushing your hair often helps to distribute natural oil from your scalp to your roots. If your hair is extra dry, try a serum to help nourish damaged hair. Choosing a brush with flexible bristles is key, stiff bristles can cause breakage and dead ends. If you are brushing wet hair, which is extra fragile, be sure to use a plastic comb or brush to minimize pulling, tearing, and ripping. Get regular trims. 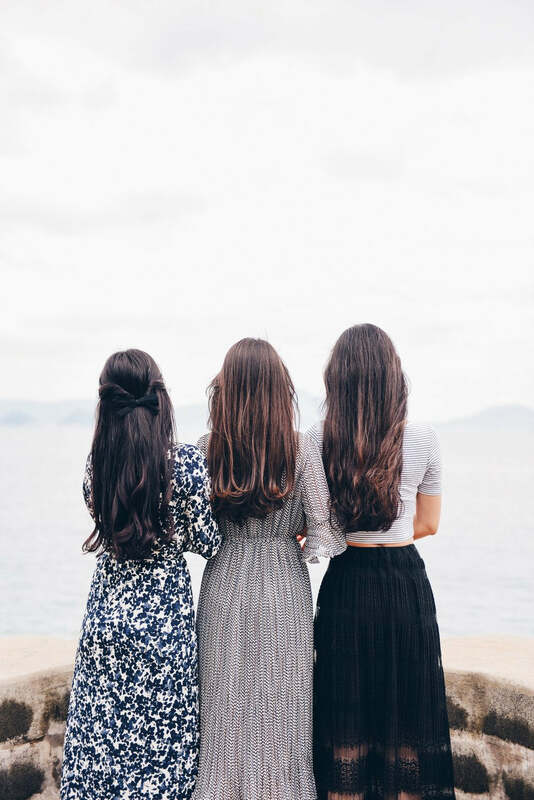 If you are trying to grow your hair out, a trip to the salon may seem contradicting, however, getting a trim every 6 weeks will keep your hair feeling and looking healthy. Keep a product in your purse for necessary touch-ups. Even those blessed with perfect hair have their day/times when they need a little help and extra taming. Something like a travel sized Ghost Oil is perfect to toss in your bag when you’re on the go. Apply this oil to smooth down trouble spots and add back hydration.